Cranberry NS is good product easy to swallow and doesnt upset my stomach. I have a history of bladder infections. If I take one capsule of Cranberry NS, it seems to prevent them from occurring! The reason I would choose this particular cranberry is the brand...Pure Encapsulations. 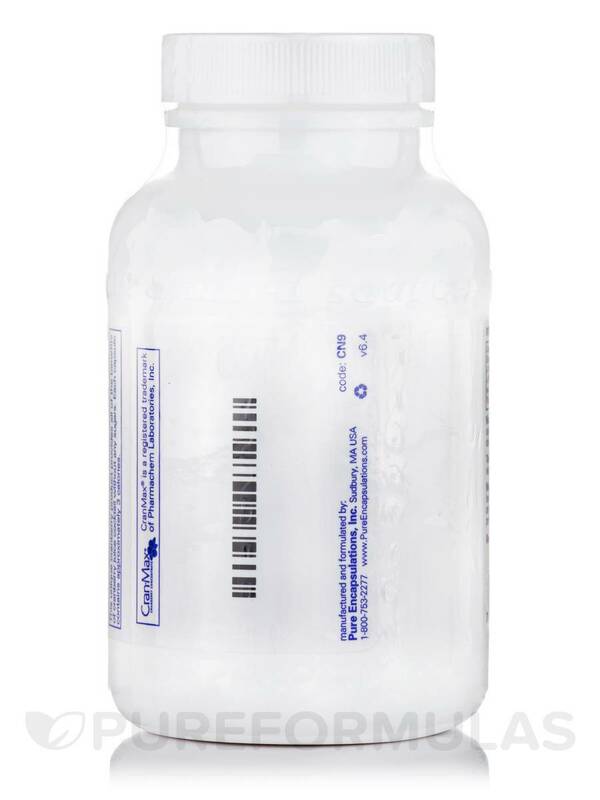 All their products are higher in strength and you can take lower dosages. Cranberry extract is widely known for its potential to support the urinary tract. You may be used to drinking cranberry juice for these benefits‚ but many of these juices contain sugars you don't want; these added sugars can contribute to the growth of unhealthy bacteria. On the other hand‚ Pure Encapsulations' Cranberry NS just contains pure cranberry extract. This supplement works by supporting healthy ecology in the urinary tract. Cranberries may enhance urine acidity‚ making it better able to kill off flora that shouldn't be there. Cranberry NS helps promote bacterial balance because it contains several compounds‚ such as d-mannose and proanthocyanidins. D-mannose is a type of sugar that may discourage bad bacteria such as E. coli from sticking to the urinary tract‚ thereby making it less likely to cause painful and inconvenient infections. Meanwhile‚ proanthocyanidins are polyphenols that support overall well-being in many ways: these include support for cardiovascular health and the prevention of UTIs. 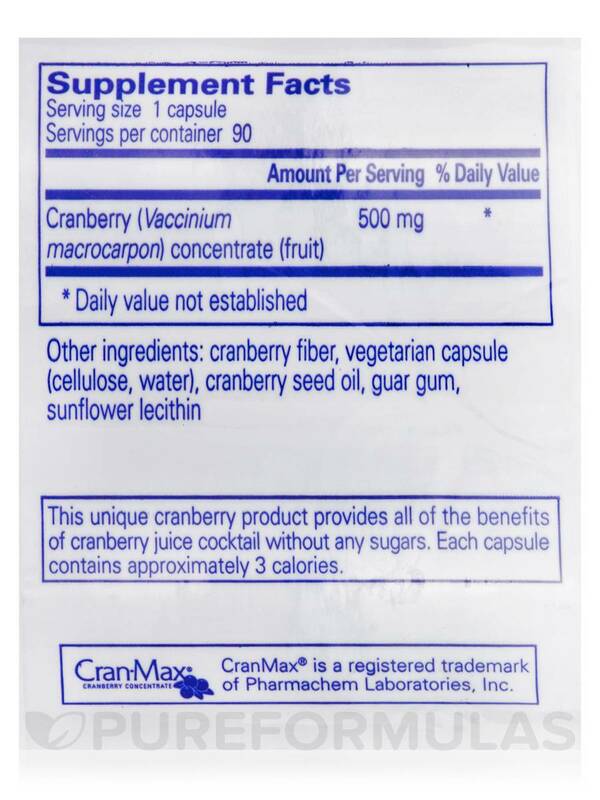 Since cranberry may be able to bind with lectin receptors‚ it may maintain the strength of the bladder wall. As a result‚ toxins in the urine are less likely to leech out into the rest of the body before they are removed. Women may find this supplement especially beneficial‚ since urinary tract infections might be more common than they are in men. The best part is that Cranberry NS is in season all year round! Take one to three capsules daily‚ in divided doses between meals‚ for nutritional support. 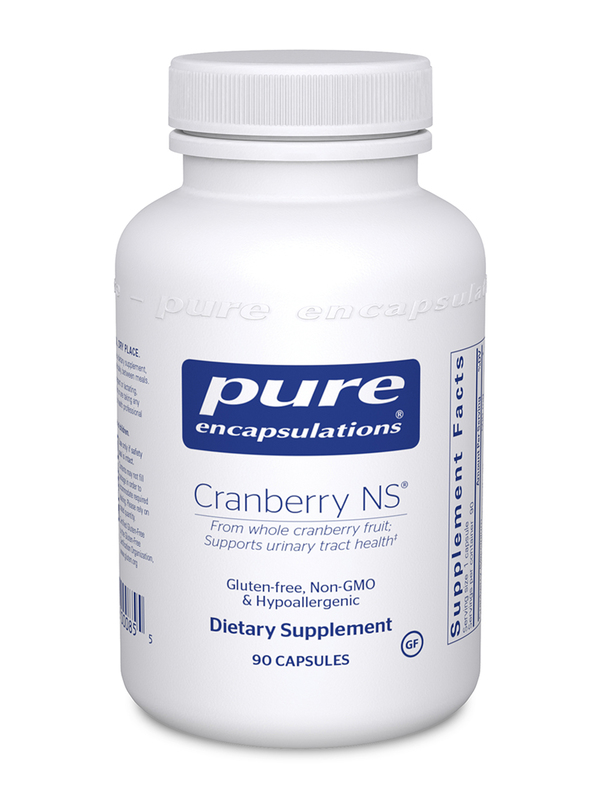 At the recommended dosage‚ each 90-capsule bottle of Cranberry NS by Pure Encapsulations should last for about one to three months. Other Ingredients: Cranberry fiber‚ vegetarian capsule (cellulose‚ water)‚ cranberry seed oil‚ guar gum‚ sunflower lecithin. 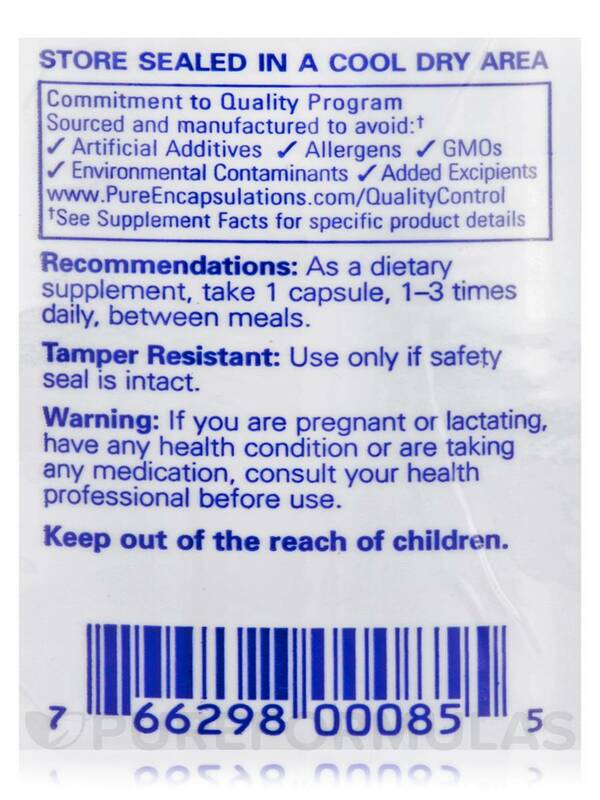 As a dietary supplement‚ take 1 capsule‚ 1-3 times daily‚ between meals. Prone to UTI's, these have helped prevent them! I have been taking Pure Encapsulations' Cranberry NS to improve my overall bladder health and to reduce my risk of contracting UTIs. It seems to be working and they work without causing side effects. 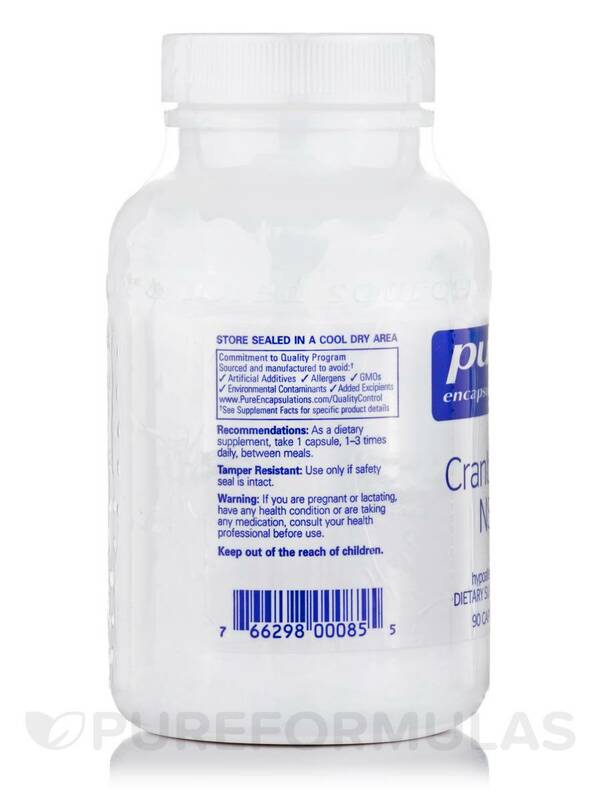 Cranberry NS by Pure Encapsulations is easy to take instead of drinking gallons of cranberry juice! Before i used to buy the Cranberry with the Manosse but my dogs ver told me she doesnt need it anymore to continue buying only the Cranberry one and that why as t I did. I break the pill as I did with the other one and sprinkle with over her food. Very satisfied with product and Pure Formulas for the price and free shipping. Take less product. Trust the superior quality. Cranberry NS was recommended by my naturopath to help support urinary health & relieve some discomfort. Cranberry NS has worked well for me & relieves discomfort when used as a preventive.